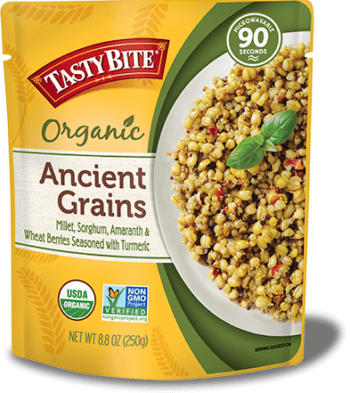 Swap out your plain rice tonight and try our new Ancient Grains. It’s full of great grains like Millet and Amaranth seasoned with turmeric and tossed with wheat berries. It’s a fresh take on ancient grains. 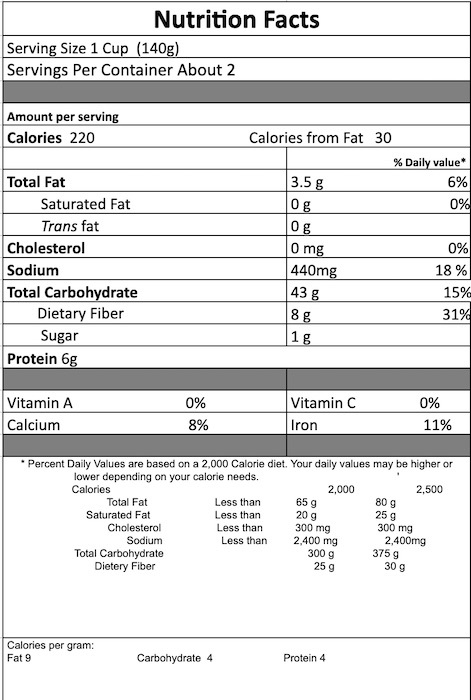 Water, Whole Grain Wheat Berries*, Whole Grain Pearl Millet*, Whole Grain Sorghum*, Whole Grain Amaranth*, Whole Grain Finger Millet*, Sunflower Oil*, Dried Onion*, Dried Red Bell Pepper*, Salt, Dried Garlic*, Chili Peppers*, Turmeric*.